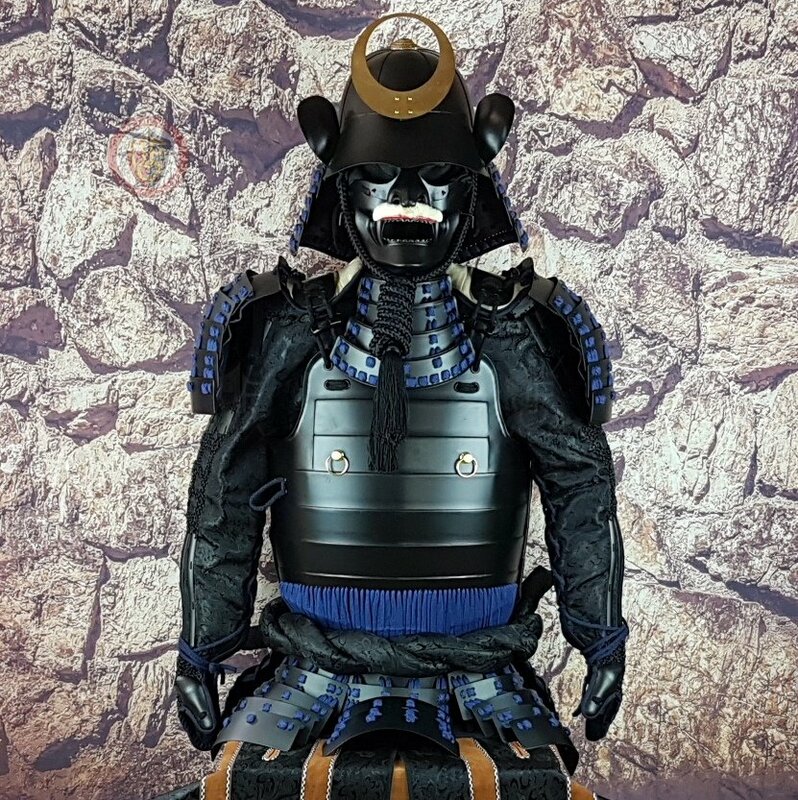 This Samurai suit of armour is unique, hand made and full size. It is a completely functional reproduction making it 100% wearable. 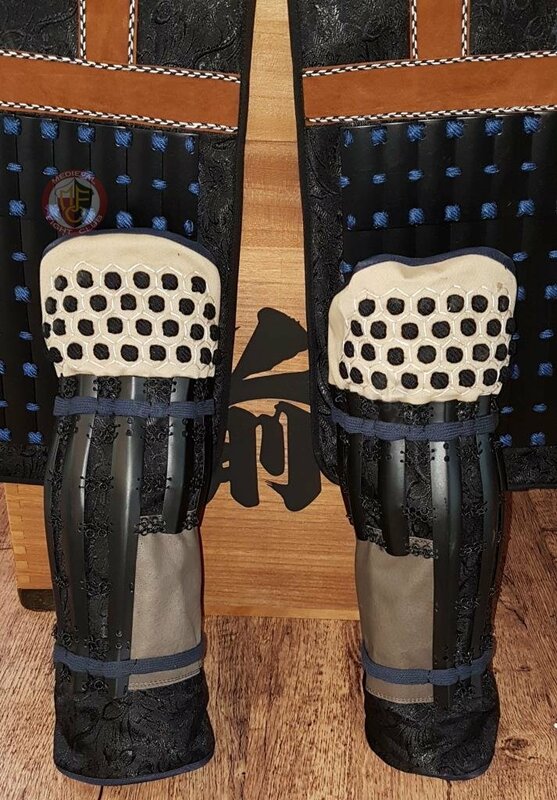 This authentically styled suit is made from iron, steel, leather, silk, cotton, brass and other materials that were traditionally used during the Sengoku era in Japan. This armour is a reproduction of the traditional suits worn by the average samurai of this period. 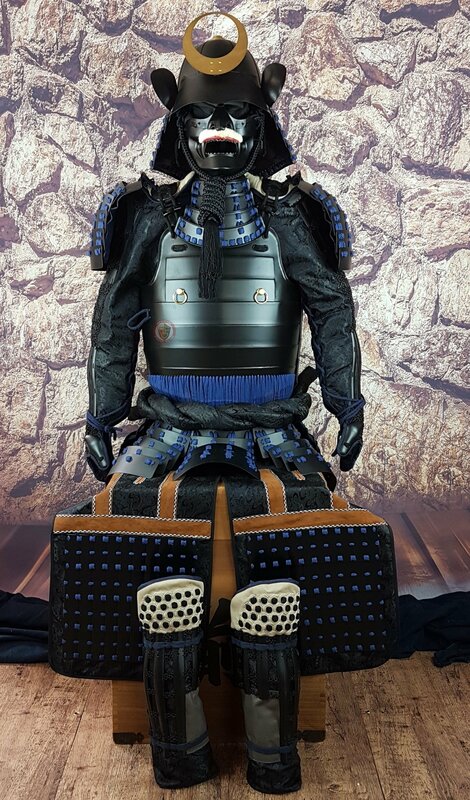 This suit features the Yukinoshita-Do style, which utilises large solid horizontal plates around the torso, offering maximum protection and was the preferred style of most samurai of this period. No plastic, rubber, modern glue or synthetic material has been used in the armor. A Japanese suit of armor was only worn by the shogun, the highest military class, samurai and emperors. 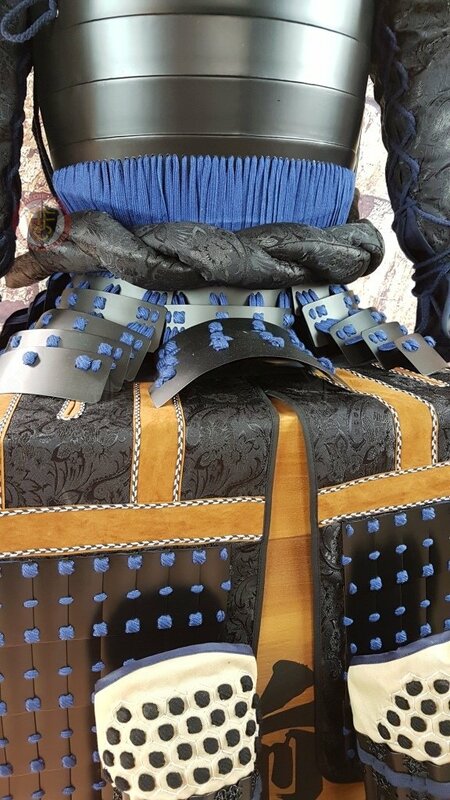 Japanese samurai armor and samurai swords are powerful, unique works of art made by talented craftsmen. 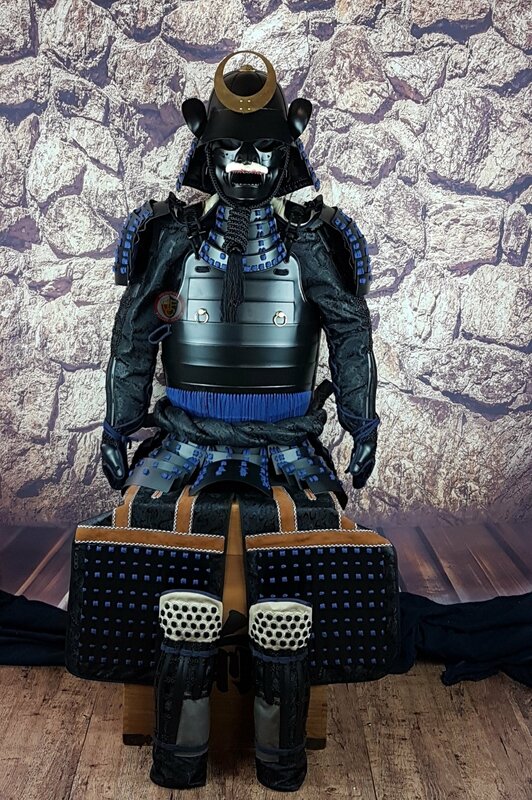 Each suit of Japanese armor (Kikou), Japanese Helmet (Kabuto) and Japanese Sword (Katana) truly has a soul or chi as well as a personality all of its own that makes it unique. 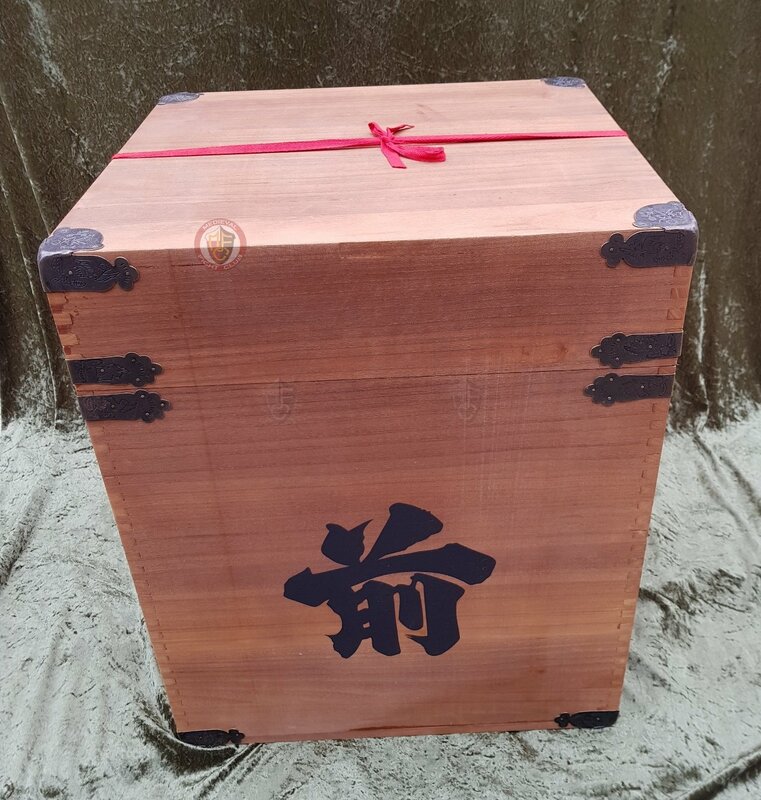 These stunning works of Japanese art were originally made strictly in the authentic and traditional manner - all by hand and all by highly skilled craftsmen but are now made available for everyone at affordable prices. Samurai suits of armor are typically displayed in home, restaurant, corporate, cultural and museum locations. 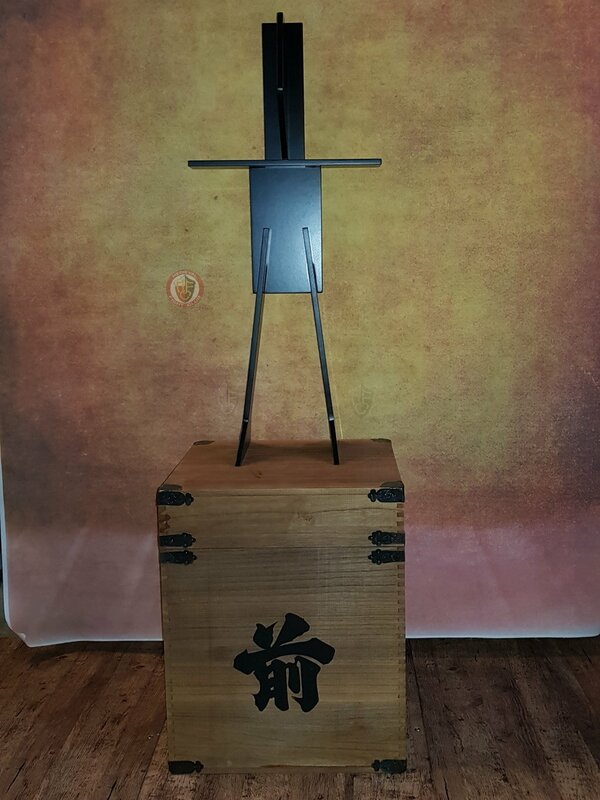 Japanese armor and Japanese swords are both excellent symbols of Japanese art, culture, and can be adapted to any interior situation and will really be a talking piece for your friends. 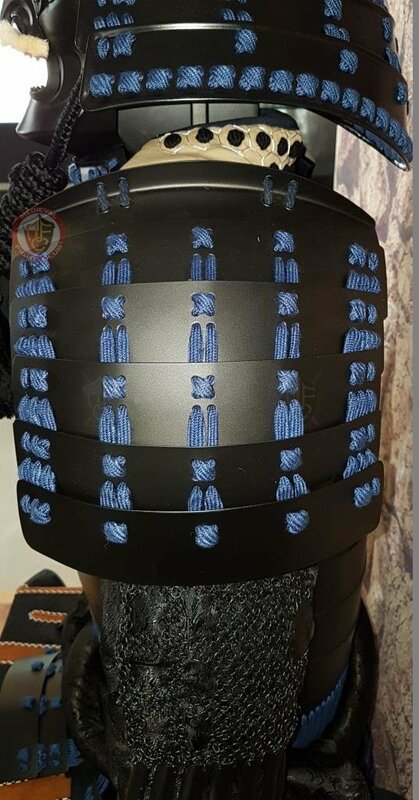 When you order a suit of Japanese samurai suit it will come with everything you see in the photo, which includes the black lacquered display stand, a storage box, the complete suit of armour including the Kabuto (helmet), belt, and padded cushions to fill out your armour when it is not being worn. 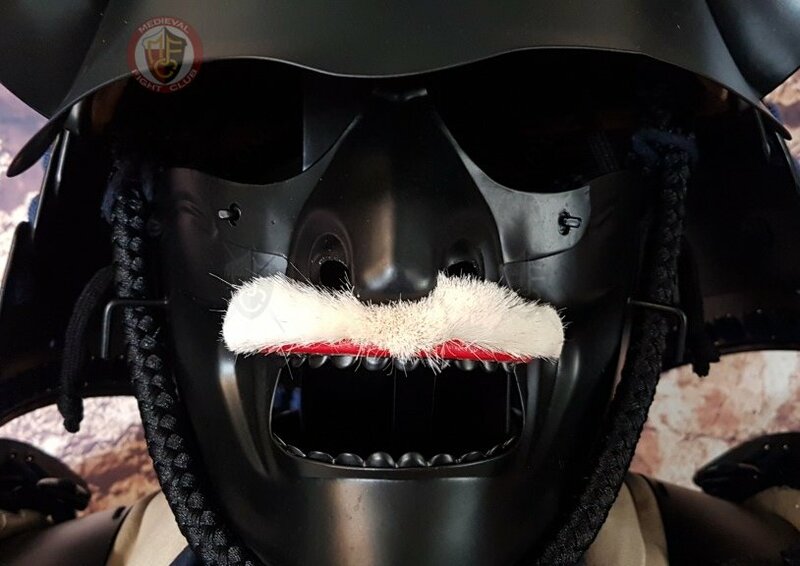 The armor is full sized, fully functional, combat ready and comes pre-fitted for a person who stands between 1.58m (5' 2)" and 1.93m (6' 4") tall with average body type. The armor can be easily adjusted for a better fit by the owner. Almost every piece is presented in ribbons. Unboxing this product is a unique experience for you and your family. If you can't work out how the armour goes together on the stand, please just ask us for help.